John's Creek is one of the fastest growing areas in the country. Located right along the Chattahoochee River, it offers great outdoor attractions as well as a rich culture and history. Southland Custom Homes gives you the opportunity to enjoy a peaceful lifestyle just outside the busy city of Atlanta. John's Creek is a great place to raise a family in your new dream home. Our home builders in John's Creek can build a house to fit your needs and stay within your budget. John's Creek has many great family friendly activities. The Autrey Mill Nature Preserve and Heritage center features over 46 acres of forest. The walking trails allow visitors to explore the wildlife and beautiful scenery of this area. The Heritage Center adds to the experience with a collection of old farmstead buildings full of fascinating historic exhibits. To experience the arts in Fulton County, visit John's Creek Arts Center. The Center offers a variety of classes, workshops, camps, and performances. This is a great opportunity to learn a new skill from experienced professional instructors. If you prefer music, then a visit to the John's Creek Symphony Orchestra is a must. This group of talented musicians comes together from all over the US. Many participants have received special training and some have performed around the world. John's Creek is a premiere destination for golfers in Georgia. This great city offers both public and private facilities featuring seven championship 18-hole courses and two 9-hole courses. The courses in this area have hosted major events including the U.S. Open Championship in 1976, the PGA Championship in 1981, 2001, 2011, the U.S. Women's Open in 1990, and the Atlanta Amateur Championship. Some of the best private clubs in Fulton County include the Country Club of the South, Rivermont Golf and Country Club, St. Ives Country Club, and the Standard Club. 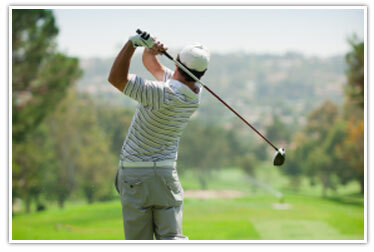 Probably the most well known private club is the Atlanta Athletic Club which hosted the 2011 PGA Championship. If you prefer a public course, try River Pines Golf located right along the Chattahoochee River. There are great events happening all year long in John's Creek. A great weekly outing for the whole family is the John's Creek Farmers Market. The Farmers Market is held every Saturday, June through September from 8:30 am to 12:30 pm. Each week local farmers and vendors from around the area bring organic and sustainable options. There are even special demonstrations and children's activities that vary from week to week. The Annual Arts Festival is held in October and features a variety of artist and entertainment. This free festival also offers a children's area and food throughout the event. The Fall Family Festival is another Fulton County favorite. It is held at Newtown Park and features a moonwalk, giant slide, obstacle course, games, music, food, and more. During the summer months at Newton Park, locals enjoy free movies presented on a large inflatable screen. Movies start at dusk on Saturday evenings, with pre-show activities beginning two hours before. Southland Custom Homes has years of experience building homes all over Georgia. Our home builders in John's Creek provide excellent customer service to ensure that every homeowner has a great home building experience. Call us today at 1-866-56-BUILD for more information about our services. To view our floorplans and custom options, visit our website at www.southlandcustomhomes.com. For those wishing to take full advantage of all that Johns Creek has to offer year round, Southland Custom Homes is a Johns Creek builder that specializes in custom homes for the Johns Creek area. Southland Custom Homes is an on-your-lot custom home builder, meaning that they build the home of your dreams in the location of your choice! With over a 100 floorplan options to choose from and an array of top-of-the-line interior appointments, Southland Custom Homes is among the premier home builders in Johns Creek, Georgia. In addition to providing a huge selection of plan options, Southland Custom Homes will even work with new homebuyers to alter a specific floorplan so it is exactly what the buyer wants. If you are looking for a custom builder in Johns Creek, Southland Custom Homes is sure to meet and exceed your expectations. Southland Custom Homes, a custom builder in Johns Creek, GA has model showrooms located in Marietta (265 N. Cobb PKWY, Marietta, GA 30062), Dawsonville (98 Bethel Drive, Dawsonville, GA 3053), and Macon (3956 Bloomfield Village Drive, Macon, GA 31206). Stop by or call us today at 1-866-56-BUILD* to see all that Southland has to offer!